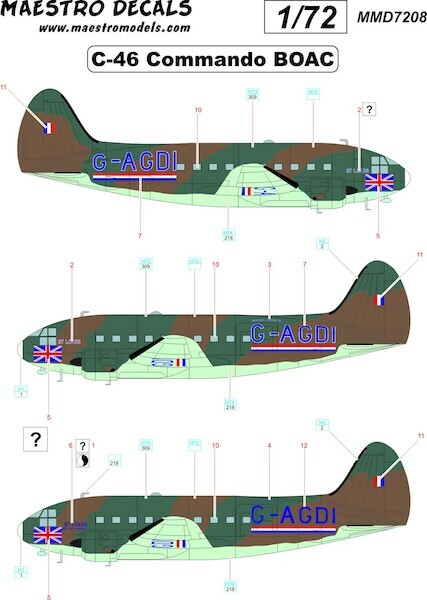 One C-46 served in the UK. It was repainted at some stage so there are two different kinds of letters supplied. With and without white border. Made for Williams Brothers plastic model. NOTE! Pink colour on decal sheet picture is carrier film.